Notes: I have now hiked over 100 miles using these Black Diamond trekking poles. Originally, when I was prepping for my Foothills Trail thru-hike, my daughter, Katie, had to talk me into adding trekking poles to my gear list (Thanks Katie, I love you). I don’t know why but for some reason I had put trekking poles in the same category as umbrellas and snuggies, neither of which you normally see Marines use. Wow, was I wrong! These trekking poles quite literally saved my life twice that I can think of when I was miles from nowhere. Also, these poles help me keep my balance when my spinal arthritis invariably flares up. The first time these trekking poles saved my life, I was hiking along the foothills trail alone in the morning when the sun was just starting to break the horizon. I felt the pole hit something that moved rapidly. 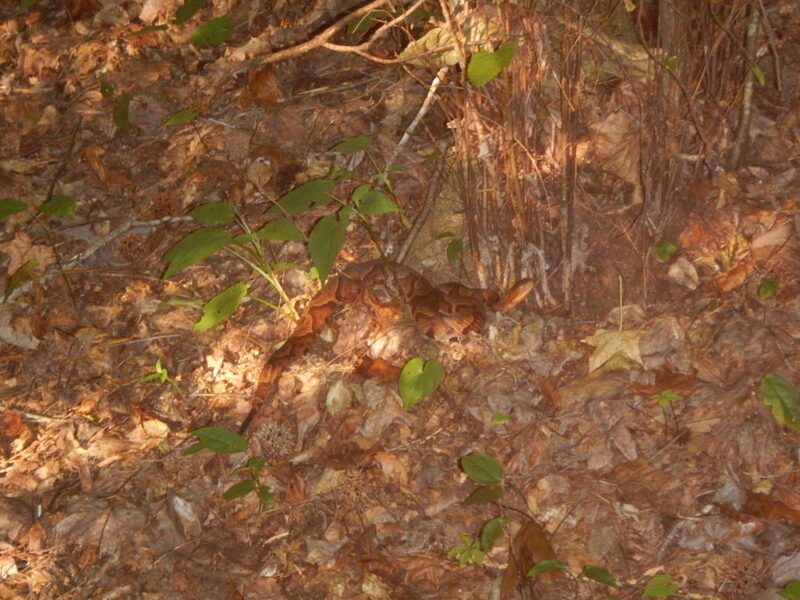 I stopped dead in my tracks as saw that I had just hit a copperhead with my trekking pole. If I had not had the trekking poles, I would have hit that snake with my foot and I probably would have been bitten. See below for a picture I took. The second instance when the trekking poles saved my life is actually a category containing many instances where I would likely have lost my balance without the poles. 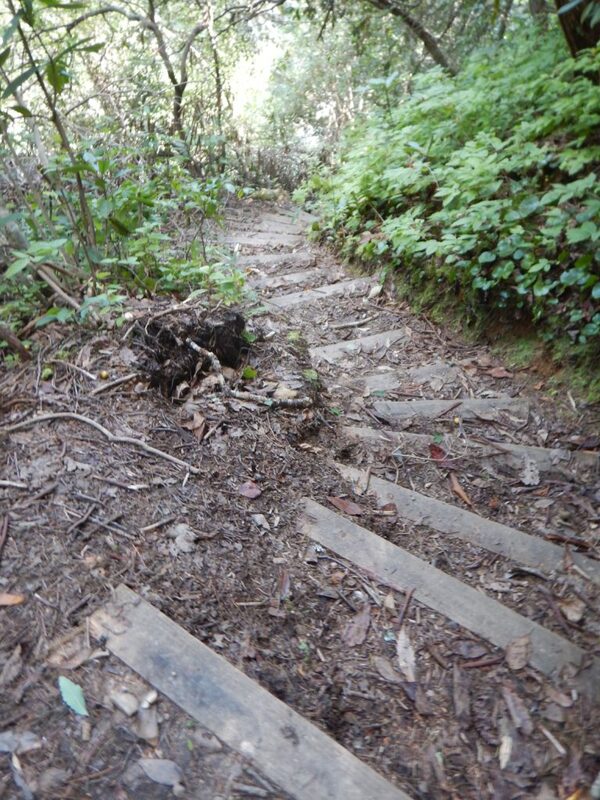 There were many times when I was negotiating steps or a dead-fall on a steep incline. When I would lose my footing, I would invariably catch myself using one of the poles. Imagine taking a tumble down the steps below and waiting a couple days for someone to come along. With these poles I avoided that! While the instances above describe when the trekking poles “saved my life”, I supposed that could be said for any type of poles. However, these poles are outstanding. 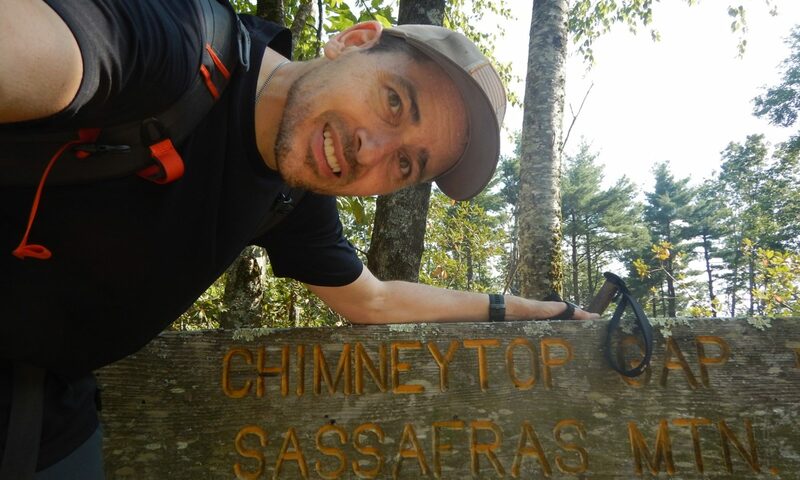 The pros are that they are lightweight, adjustable for any hiker, easy to set up, comfortable, and very durable. The only con is that you have to make sure you have the tension set properly on the screws that keep the poles from collapsing or the poles will get progressively shorter as you use them. Once you overcome that, there is nothing else negative I can think of to say about these poles. These poles are excellent and I would not go hiking without them.